Great for pop-ups and tent campers. Seems well made for a plastic faucet. Solved my problem of an oval sink with the faucet on a narrow end by moving the water stream closer to the drain area. Comes with a garden hose adapter. 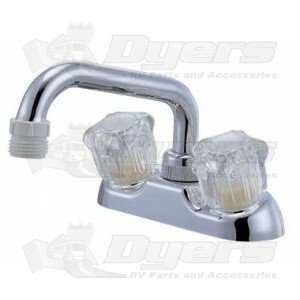 Should also include an aerator fitting.